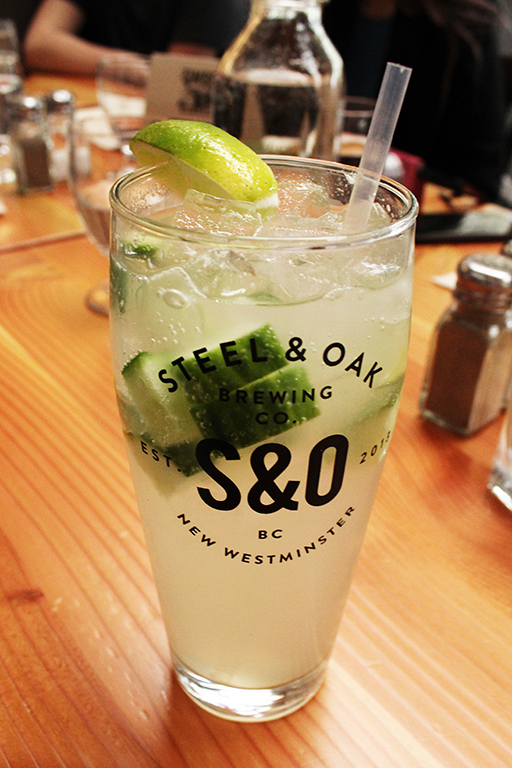 As part of our ongoing partnership with Tangoo, we’ve been checking out the West End’s tastiest eateries with some of Vancouver’s best online influencers. 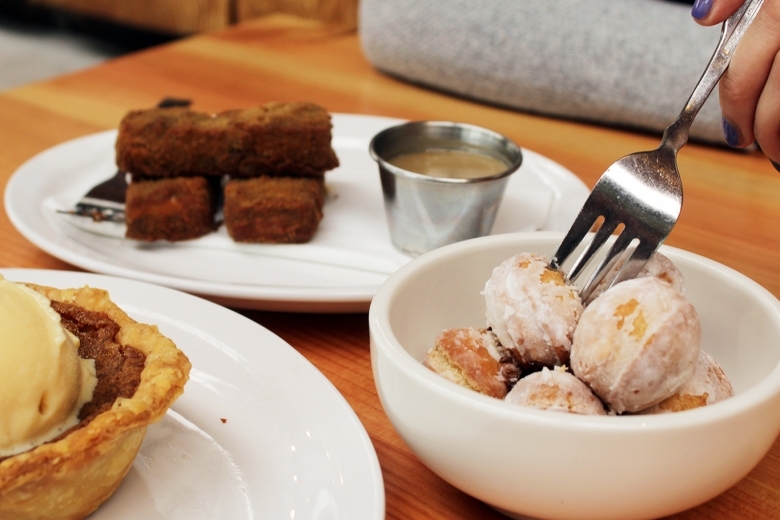 Our latest venture took us to Chef Chris Whittaker’s second West End restaurant, TIMBER (1300 Robson Street) for weekend brunch. As Chef Chris Whittaker’s second restaurant on Robson Street (the award-winning Forage is located next door), TIMBER is rapidly gaining a reputation in the neighbourhood for its great beer and cocktail selection, Canadiana-inspired menu, and informal atmosphere. What exactly do we mean when we say Canadiana-inspired? Think bannock with spicy maple and haskap berry chutney; game tourtiere with a delicious lard crust and house made ketchup; and deep fried Nanaimo bars with double double custard. 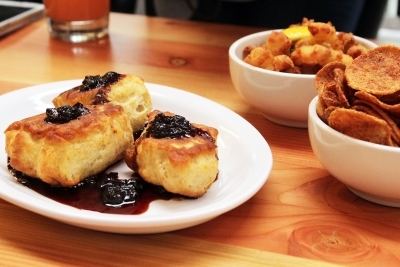 They also offer a rotating series of brunch and lunch items. Ask your server for details. 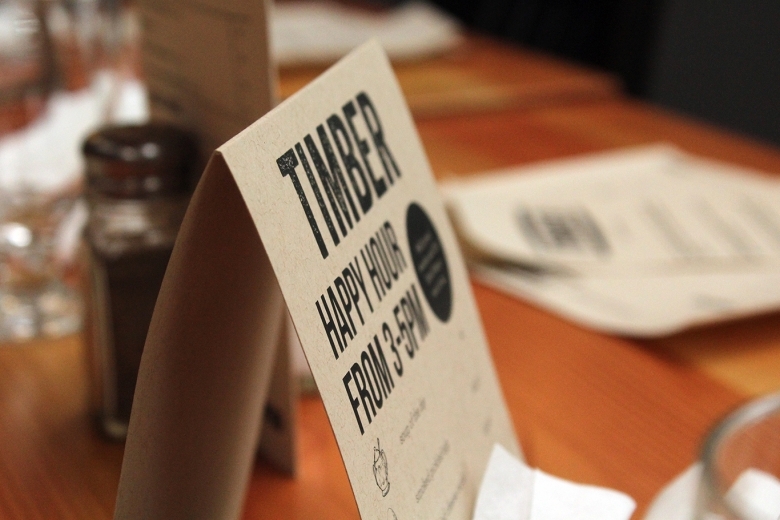 Daily from 3:00-5:00pm, stop by TIMBER for their Happy Hour. Half priced snacks and $4 cans of Old Style Pilsner will make it a very happy hour, indeed. They’ve got some sweet taxidermy too! Follow Terry the Goose and Deaner the Beaver on Twitter and tell them what you think about the movie FUBAR. They like it when people do that. Planning a visit to the West End? 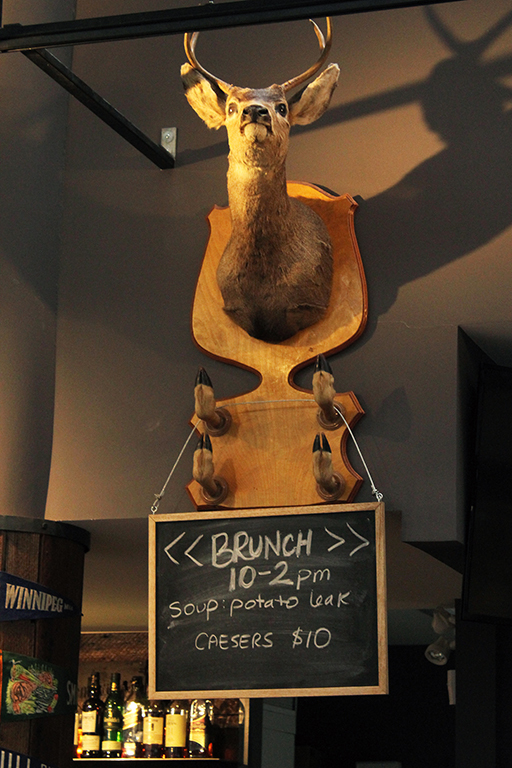 Make your way to Timber for brunch, lunch and dinner seven days a week! For full menu and hours, check out their website.